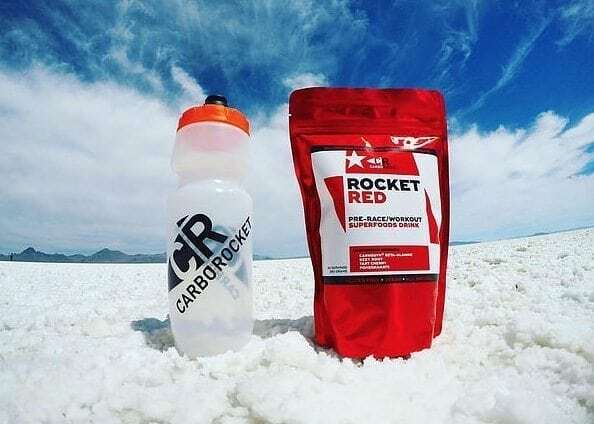 Rocket Red (30 servings) – All natural, plant-based nitric oxide booster. Formulated with scientifically researched and tested ingredients to help you train harder, race faster and recover quicker. 2 grams Carnosyn – The only patented, research proven form of Beta-Alanine. Over 55 Clinical research studies. Clinically proven to decrease the discomfort of muscle burn, delay muscle fatigue, extend endurance and maximize strength gains. 1000mg Tart Cherry Juice (non-GMO) – Montmorency Tart Cherry Juice Powder, maximum anthocyanins. Powerful anti-inflammatory, reduces muscle damage during activity leading to quicker recovery. Also decreases muscle pain during activity and promotes restful sleep. 6 grams Beet Root Juice (non-GMO) – Not just any beet root, 2-3 times more betanin than other beet root juice powders. 1 serving provides the same benefit as drinking 25oz of fresh beet juice! Metabolizes into nitric oxide in the body, dilating blood vessels, improving blood flow and allowing body to use less oxygen, increasing endurance and stamina. 1000mg Pomegranate juice (non-GMO) – Naturally rich in nitrates, pomegranate juice helps boost nitric oxide, increasing blood flow and time to exhaustion. It’s also a powerful anti-inflammatory delaying muscle soreness while shortening recovery times. 3 grams L-Citrulline Mallate 2:1 – Delays onset of fatigue during intense training. Helps the body recycle lactic acid and turn it into energy. Mix 1 scoop in 4-8 oz of water and take 30-45 min before race or workout. Makes for a supercharged smoothie mix-in. May cause tingling/flushing sensation 5-10 min after taking, lasting for 5-10 min. Use once daily for best results. Tastes great!